The 11’6’’ Performer TOUGH-TEC 2019 is an ideal all-around SUP for novice riders up to 260lbs/120kg and will perform in the surf zone for more advanced paddlers up to 300lbs. Perfect for First-Timers, Families. Schools and Rental Operations where equipment is under heavy use. Anyone Looking for Best Value & Highest Durability. Attachment points – Leash plug at tail + two attachment points in front of the standing area for securing gear. Performer: Flat-Water Fun & Surfing. Ideal for people with limited storage space.Travelers who want to fly with their equipment. Schools and Rental Operations with limited storage. 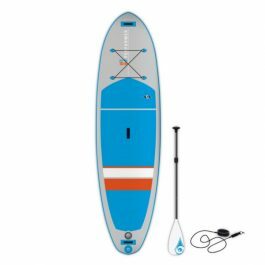 Complete packages include paddle, leash, backpack, pump w/gauge, and repair kit Flat Water and Surfing Performance, Easy to Transport and Store. Versatile shapes for all-round use or touring. 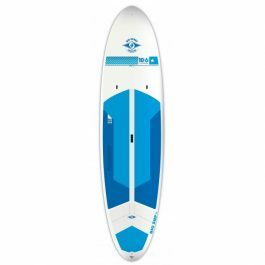 Board thickness according to intended function. 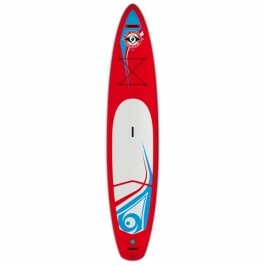 Performer with 4”3/4 thickness for thinner rails and better surfing, improved stability due to lower center of gravity. Bottom stringer improves stiffness vs. traditional inflatables. Carry handles at nose, tail, and center. Performer : Embossed EVA deck pad is plush and comfortable while offering excellent traction. 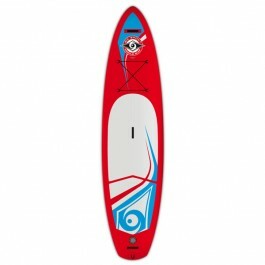 Includes paddle, 11′ leash, oversize backpack, heavy duty 2-way pump with pressure gauge and repair kit. Pack Incls: Paddle + Leash + Backpack + Pump + Repair kit. Board thickness according to intended function. 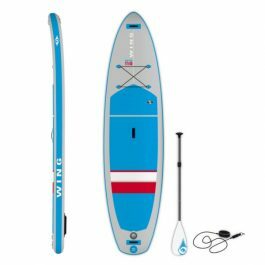 Wing with 6” thickness for better stiffness. Wing : Diamond grip EVA pad for added traction and comfort.